EXCLUSIVE : A LEADING ACTOR FOR D-16 BOLLYWOOD REMAKE? KARTHICK NAREN ANSWERS! 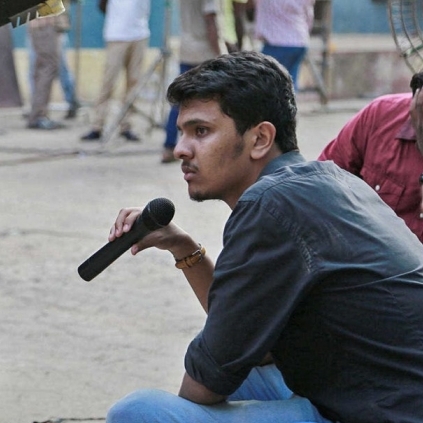 Director Karthick Naren, whose Dhuruvangal Pathinaaru (D-16) won unanimous positive reviews, has started work on his next, titled Naragasooran. D-16 has gone on to surprise one and all with it’s achievements and a successful run in theatres. The latest surprise from the young director is that it could very well be remade in Hindi soon. In an exclusive chat with Behindwoods regarding this, Karthick said, “Yes, an A list actor, well known in Bollywood has accepted to watch the film and insisted that I should direct it. It will not be our next immediate film as Naragasooran is underway. However, it could be the film I would love to do after completing this project. Also, Naragasooran’s complete cast and crew details can be expected within the next 2 days”. It is also said that the possibilities among the A list actors include Amitabh Bachchan, Aamir Khan, Nawazuddin Siddiqui and Naseeruddin Shah. However, an official word of confirmation is still awaited. The Enai Nokki Paayum Thotta connect with a hat-trick flick? Anuja Iyer blessed with a baby boy! Superstar Rajinikanth's 2.0 surpasses Dangal record! Motta Shiva Ketta Shiva TN opening collection report! A strict no to intermission! People looking for online information on Karthick Naren will find this news story useful.